Some friends and I recently visited the island of Bali in Indonesia: our first visit to Asia! We had an epic adventure and ate plenty of great plant food along the way. It was wonderful to travel somewhere (halfway around the globe in this case) and open menus to find dishes that match my plant-based requirements! A majority of Hindu people practice vegetarianism or only eat meat sparingly, so I can tell you there will be plenty of plant-based options for you while you venture the island yourself. Here is our 8-day itinerary: what we did and what we ate along the way! We first stayed in a small town called Tampaksaring tucked away in the rainforest just 20 minutes outside of Ubud. Every morning we awoke to the sound of hundreds of rooster crows from nearby homes and a 6 am prayer ritual from the temple set across the ravine. It was beautiful to listen to the town rise with their Hindu practice as the sun rose over the misty jungle. For breakfast daily, our wonderful host prepared banana pancakes, beautifully cut fresh fruit, fruit bowls, and toast with delicious rich coffee to prepare us for the day! See our villa in Tampaksaring! 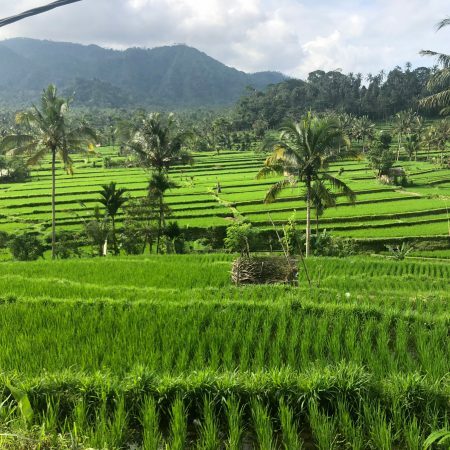 Tegalalang Rice Terraces – This is the scene we imagined when thinking of Bali: vibrant green rice terraces tucked into the hills of a lush jungle. I recommend this is as a must-stop in Ubud! Don’t forget to carry Rupiah coins when you go to the rice terraces as you will need them for payment as you hike through certain sections. Sacred Monkey Forest – The monkeys were cute, mischievous little things that entertained us for a good hour or two while we worked up an appetite. Respect the rules here and you’ll enjoy observing the monkeys in their sacred space. Habitat – Across the street from Monkey Forest sits this cozy restaurant. It is a vegan-friendly restaurant with options for all. Try one of their specially-made teas, refreshing spring rolls, and/or the nachos! Day 2: Nusa Penida Tour. Check out our photos and without a doubt, you will want to visit see this beautiful island first-hand. Get a tour guide for the day so you don’t waste time planning the itinerary. 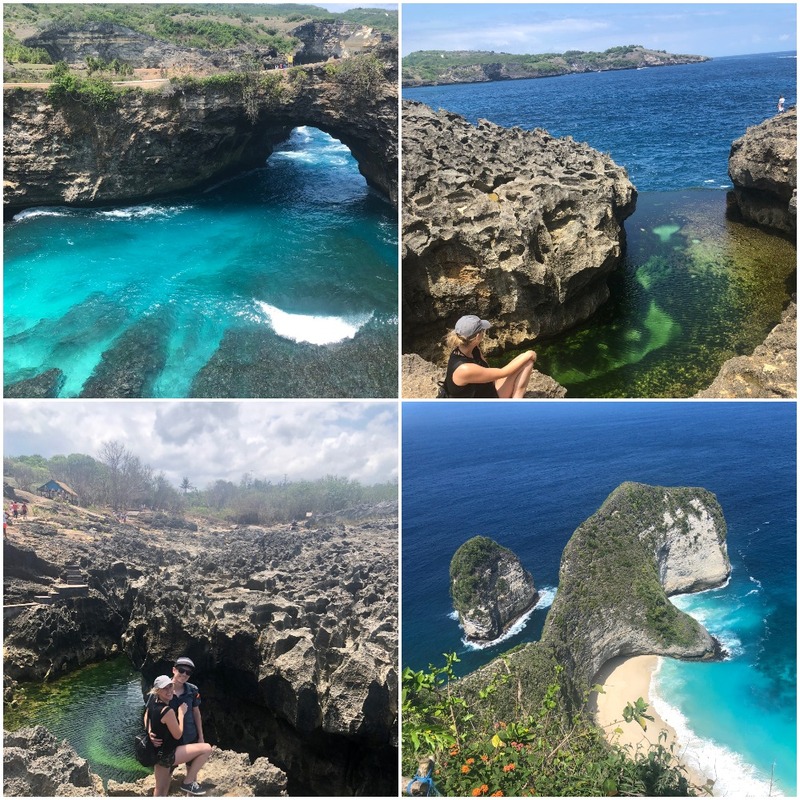 We hired Nice Tour Bali and they made sure we were able to see Angel Billabong (top right below), Broken Beach (top left below), and Kelingking Beach (bottom right below). They even scheduled enough time for us to swim and snorkel at Crystal Bay. Side Notes: Make sure to eat breakfast before you go and take snacks with you on your tour to Nusa Penida as there aren’t many food options on the island. <<< Also: This wasn’t our favorite activity since the island infrastructure was very underdeveloped and there was a heartbreaking trash issue. 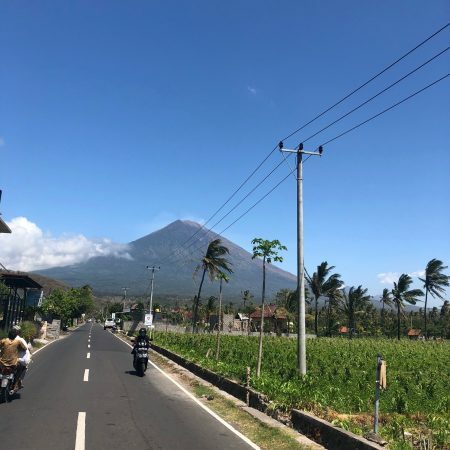 We did take beautiful photos and saw amazing sites along the coast, so it’s a lovely day trip for someone staying in Bali for a longer duration. Day 3: Waterfall day. If you feel like chasing waterfalls, there are an abundance of them in Bali. Here are the two we stopped at. Kanto Lampo (top left below) – Walk down stone steps to what feels like a secret hideout with a beautiful waterfall, slippery rocks to climb on, and a waist-high pool below the waterfall for you to soak up the views. Air Terjun Tibumana (top right below) – A perfect waterfall cascading over the edge of lush overgrowth. The path to the water leads you through a secret garden with low hanging trees and blooming flowers. The photos look beautiful but do not do this stop justice; it is even more vibrant, lush, and pristine in person. LaCasita in Ubud (left two below) – This restaurant is one block from Ubud’s outdoor market and offers delicious comfort food and scrumptious margaritas. Inside, you’ll find a Bali vibe with a Mexican flair and plenty of plant food including appetizers, tacos and hearty salads like the one in the photo below. Senimen Coffee Studio – Just down the street from La Casita is a tempting coffee shop with plenty of seating; the perfect hub for expats or travelers to work on laptops or stop in for a caffeine boost. 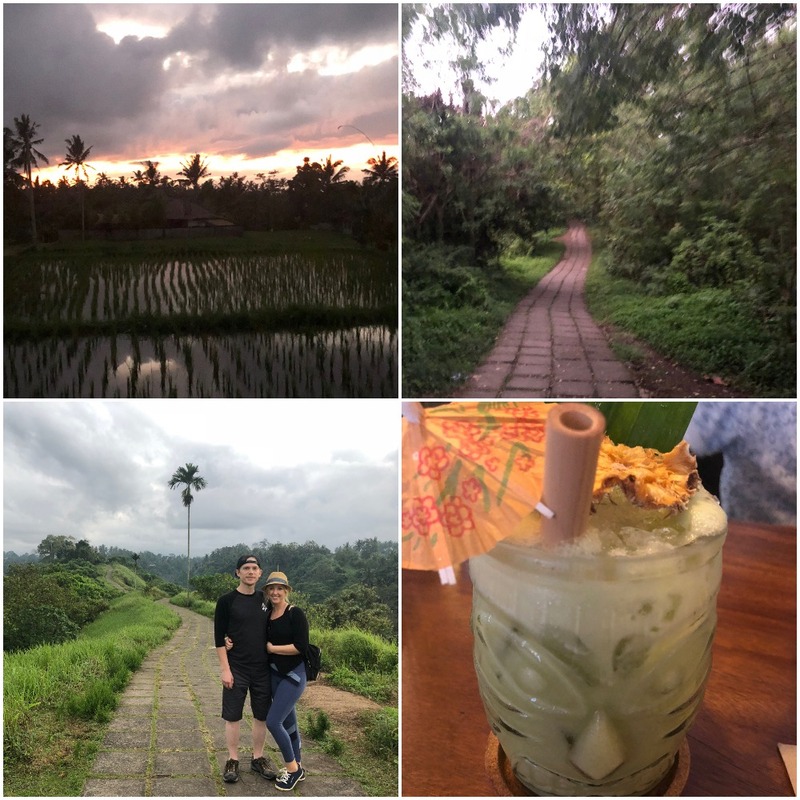 Day 4: Campahun Ridge Walk – This scenic pathway nestled inside the village is the perfect location to watch the sunrise over Ubud and to listen as the birds and jungle life awaken. The ridge winds high above Ubud with valleys along both sides of the path. I suggest rising early and making your way to the trailhead before the sun rises; don’t forget a flashlight or cell phone because the trail is not paved. From the trailhead, a moderate 10-15 minute hike will land you at the midway point and you’ll be walking with a faint glow of sunlight. 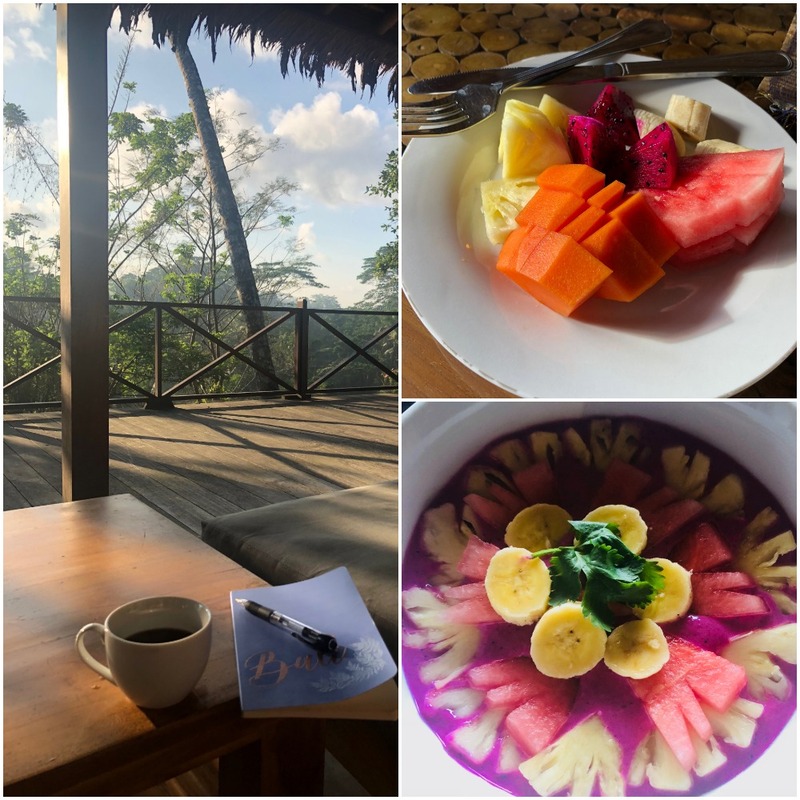 After watching the sunrise, continue until you reach the small hilltop village and stop to rest at Zest Ubud coffee shop or A.R.A.K Coffee for a vegan breakfast and a warm cup of coffee before your return hike. IbuSisu – This restaurant in the heart of Ubud is a must-see dinner spot and perfect for a pitstop from souvenir shopping. It’s very close actually to the buzzing Ubud Market, they have a delicious happy hour cocktail list, and the food was a hit with plenty of vegan options! My husband and I ordered springs rolls, vegetable tempura, and sweet tempeh with cashew nut stir fry! We planned extra walking and shopping after dinner to walk off our delicious food. Souvenir Recommendations – I recommend purchasing souvenirs while you are in Ubud as there aren’t as many options in the rural coastal towns. Incense was our favorite item we brought home. Every time we light an incense stick, we feel transported back to Bali. You can find packs of 50 to last you a long time. Coffee: The coffee in Bali is very good and it’s a great gift for your people at home. Bamboo straws – I have been using these every day since we arrived home from Bali. 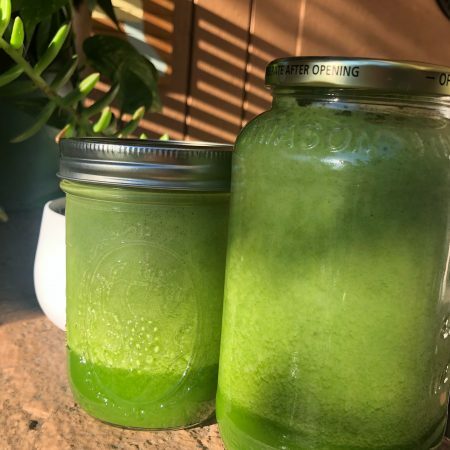 They are sturdy, reusable, and easy to clean. 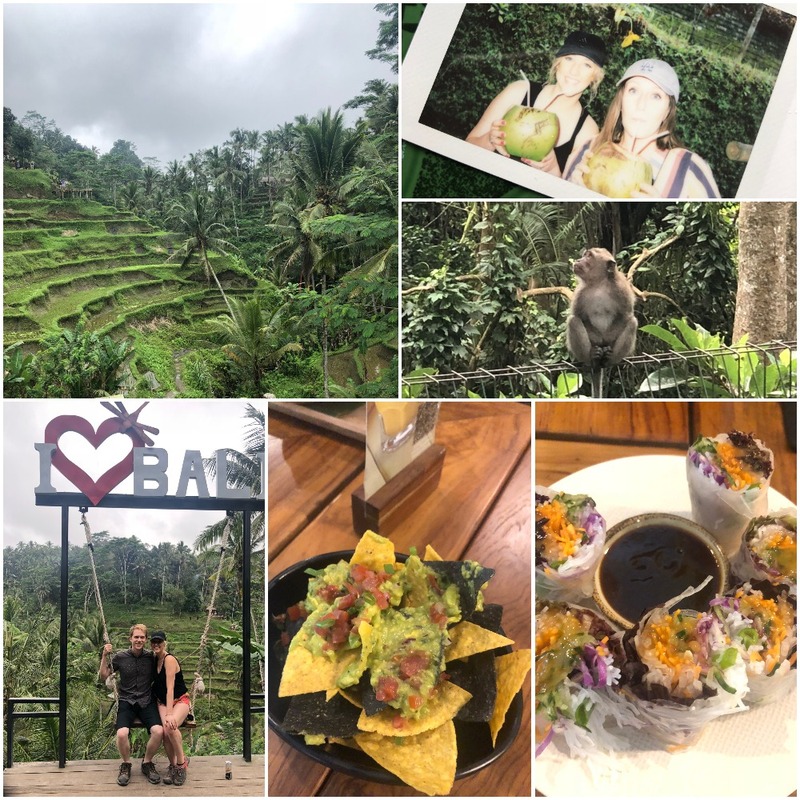 Thank you so much for reading Part 1 of our Bali adventure! 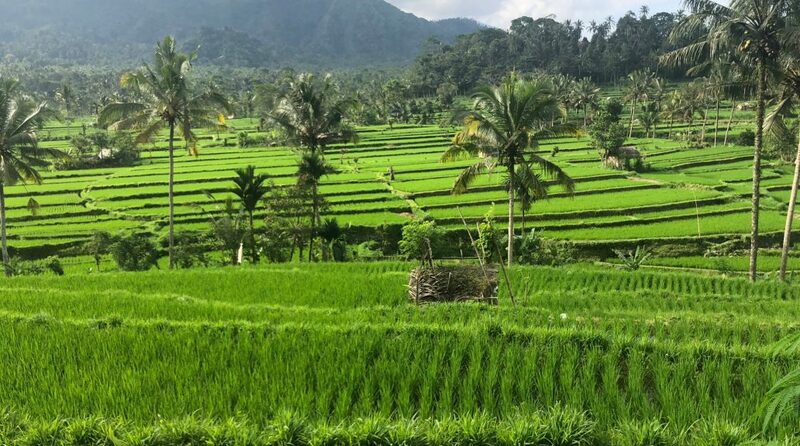 Check out – Bali: A Great Place to Be Plant-Based for the second half of our Bali Itinerary! 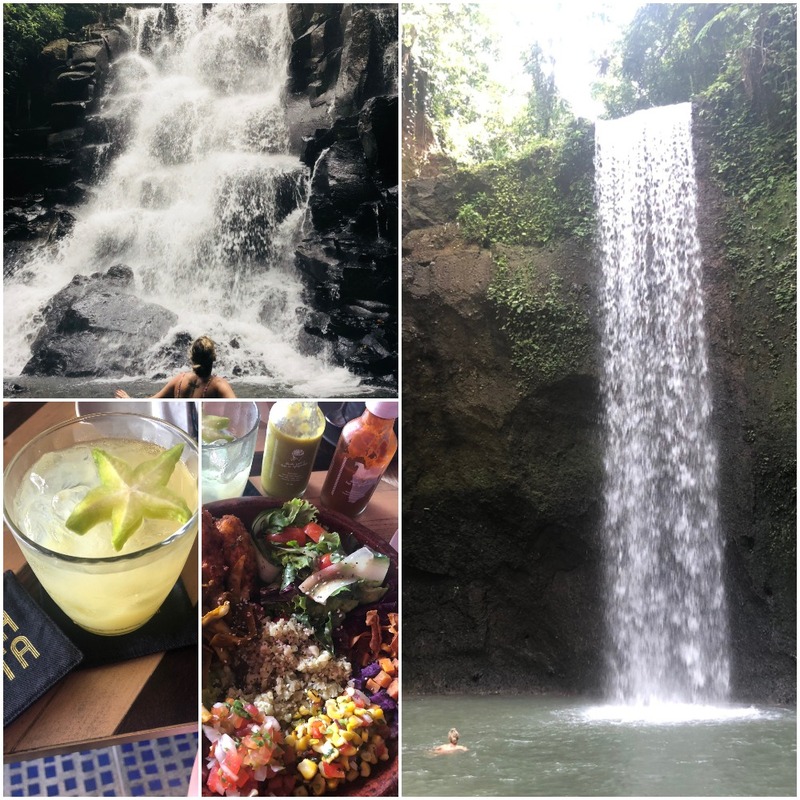 Plus a few extra lists of must do, see, and eat items to look for in Bali! I wasn’t sure if it would be possible to top the first half of our trip. 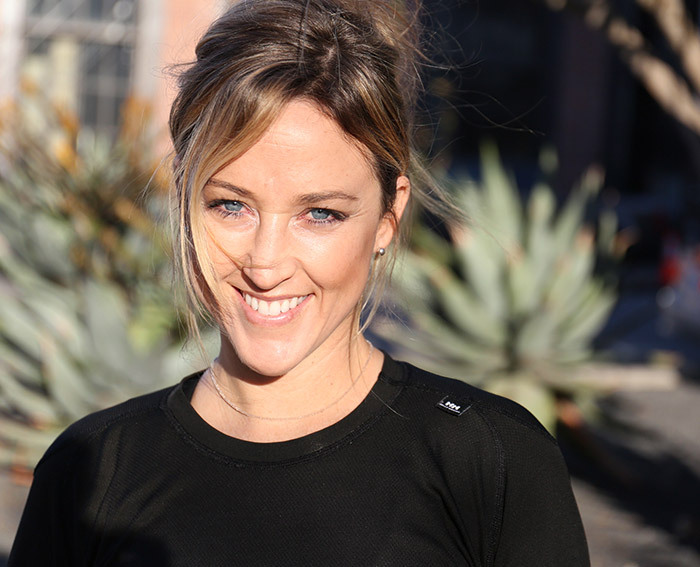 Find out how it went! ***If you want to book a villa or experience on Airbnb.com be sure to use this link and get $20 off of your stay or $15 off of your experience! 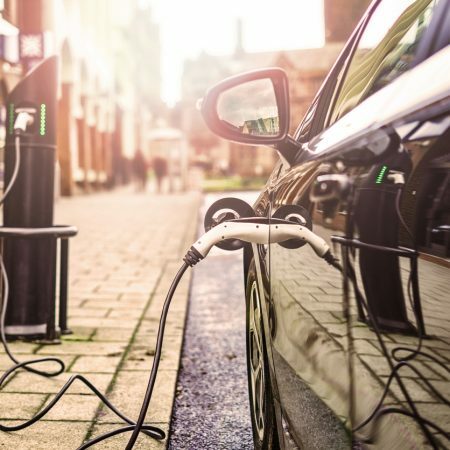 Previous Article Previous post: Our Search for the Best Vegan Electric Car!